Oktoberfest 2018 was a rousing success. Attendance was good and everyone had a great time. 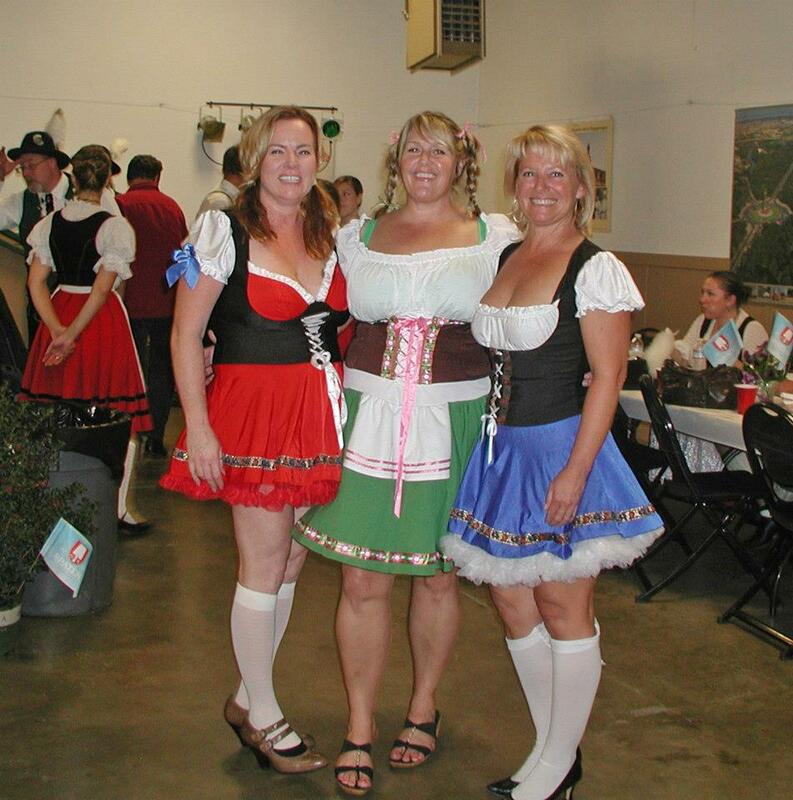 The stein holding contest was again a popular event. Oktoberfest 2018 is here. Please join us on Oct 5, 2018 at the Gold Country Fairgrounds for fun and festivities. 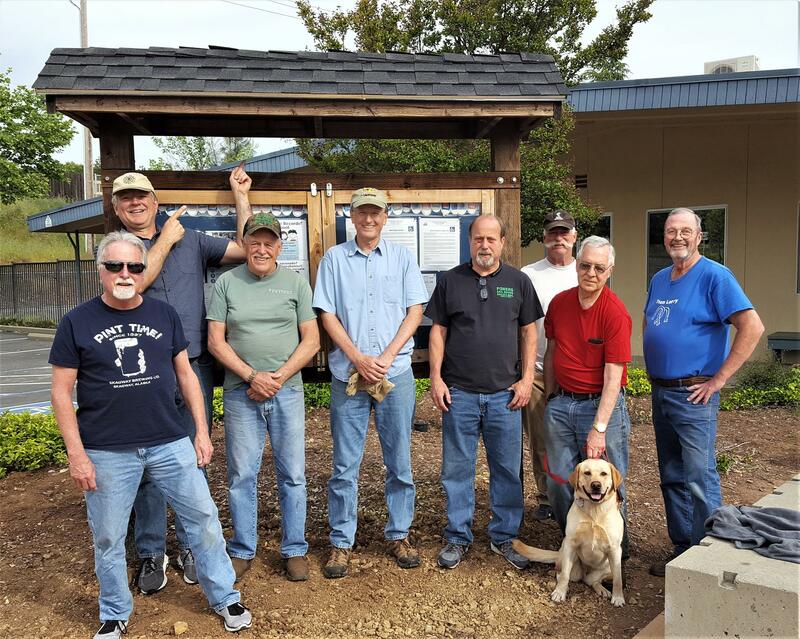 Rotarians at Work Day April 28,2018. 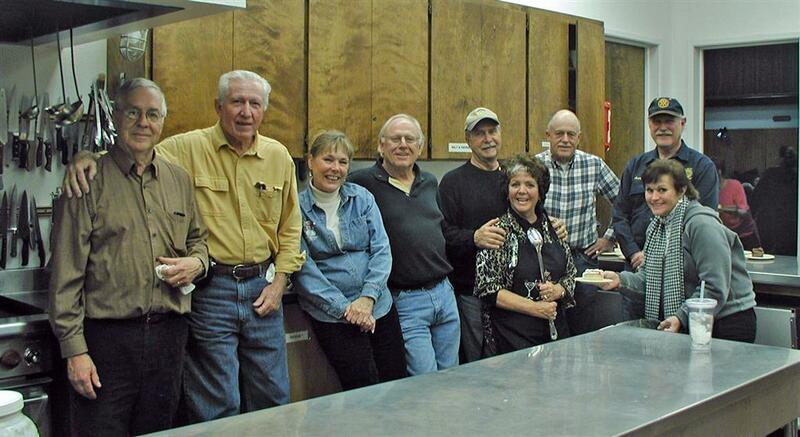 Gold Country Rotarians descended on Rock Creek School on Saturday to do several tasks. The garden area cleaned up so the children could plant vegetables. The benches around trees that the club had installed a few years ago were given a new coat of paint with some whimsical designs added. The kiosk near the front entrance to the school was moved and positioned at angle that improved it's visibility. 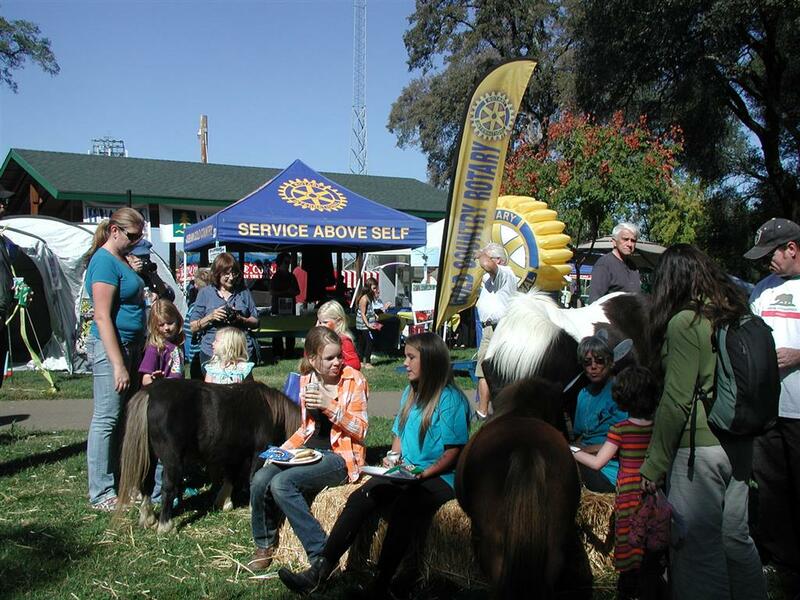 Gold Country Rotary supports local youth with several awards. Our Community Service Award is for high school seniors that demonstrated a commitment to community service while performing well in academics. Our Douwsma Award is for high school seniors that plan to pursue a vocational career. Our Alan Young Bootstrap Award is given to high school seniors who have overcome adversity to pull themselves up by their "bootstraps" and succeed. The due date for all applications is March 15, 2018. You can view/download the applications with the following links. On Saturday morning Oct 21, 2017 Placer County Rotary clubs participated in an event hosted by Feed My Starving Children. 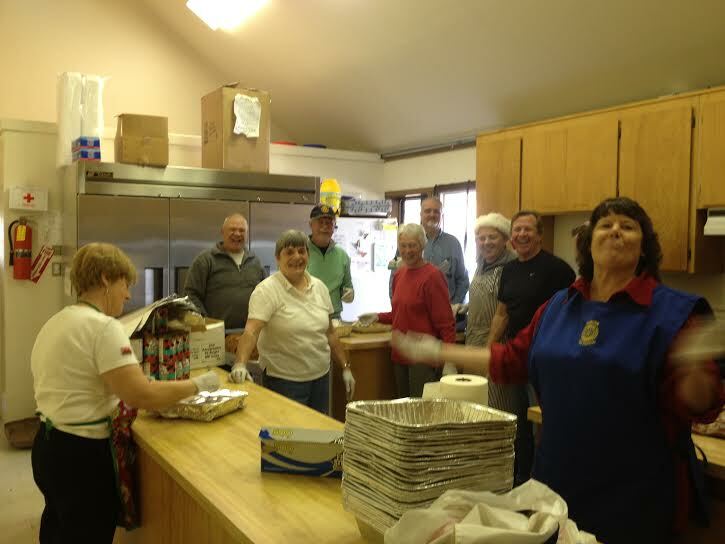 Auburn Rotary, Gold Country Rotary, and Sierra Passport Rotary helped stuff packets of food to be distributed to starving children around the world. 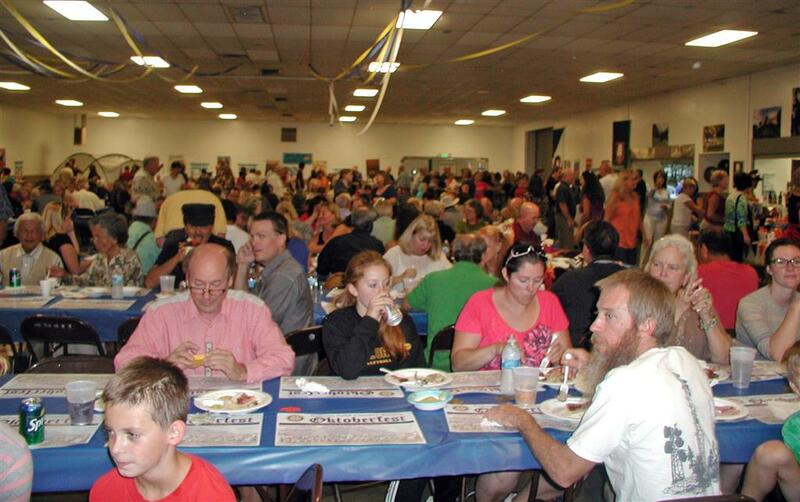 There were 179 Rotary members and friends in attendance. The group completed 178 boxes containing 26 food packets each. It was a well organized event and everyone had fun. October 24th was World Polio Day. 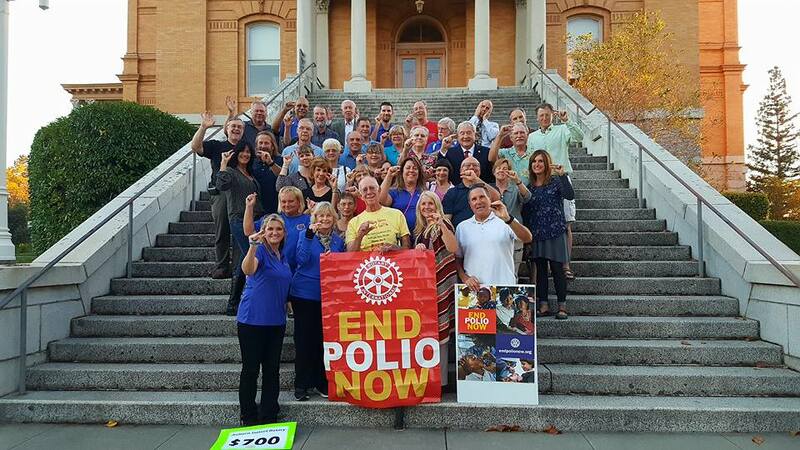 Members from Area 5 Rotary clubs gathered at the Auburn Courthouse for a picture celebrating the day. 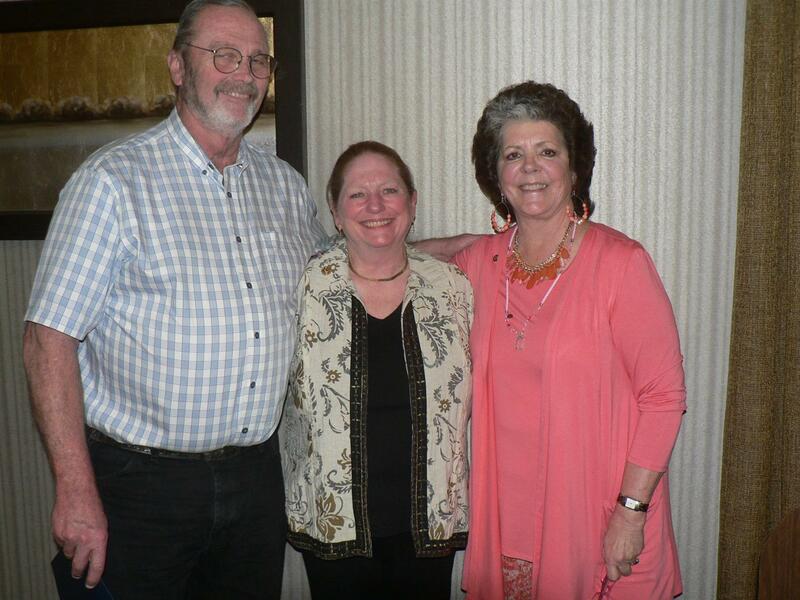 Auburn Rotary, Gold Country Rotary, Sunset Rotary, and Sierra Passport Rotary were all represented in the picture. 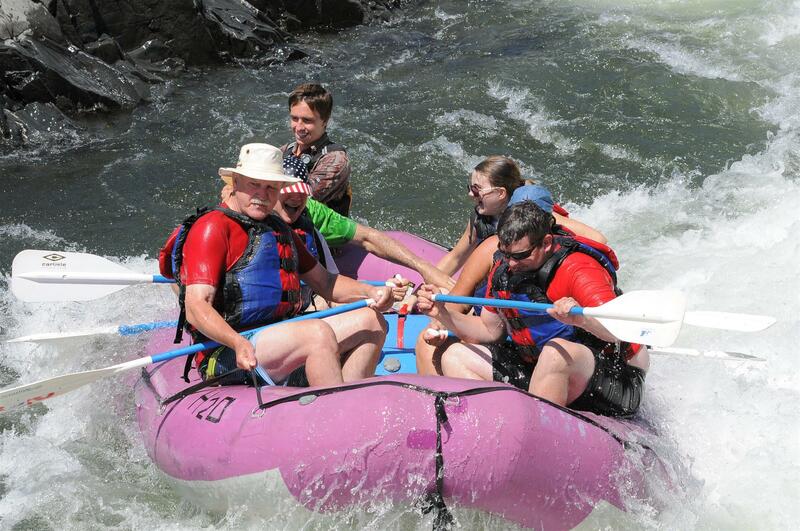 Gold Country Rotary members participated in a river rafting event hosted by Auburn Rotary. Sierra Passport Rotary also participated. 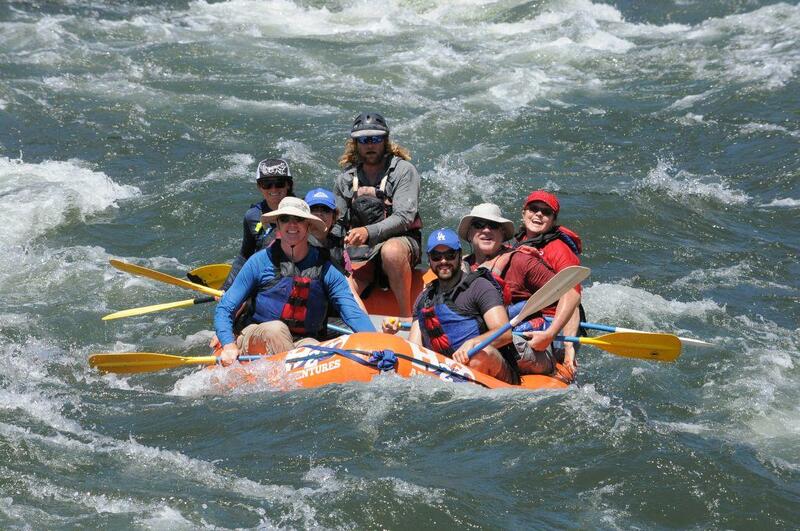 Fun was had by all on the lower run of the South Fork of the American River. The rafting excursion was followed by a barbecue dinner hosted by Auburn Rotary. $50 of the fee is being donated to the Rotary Foundation Polio Plus fund. 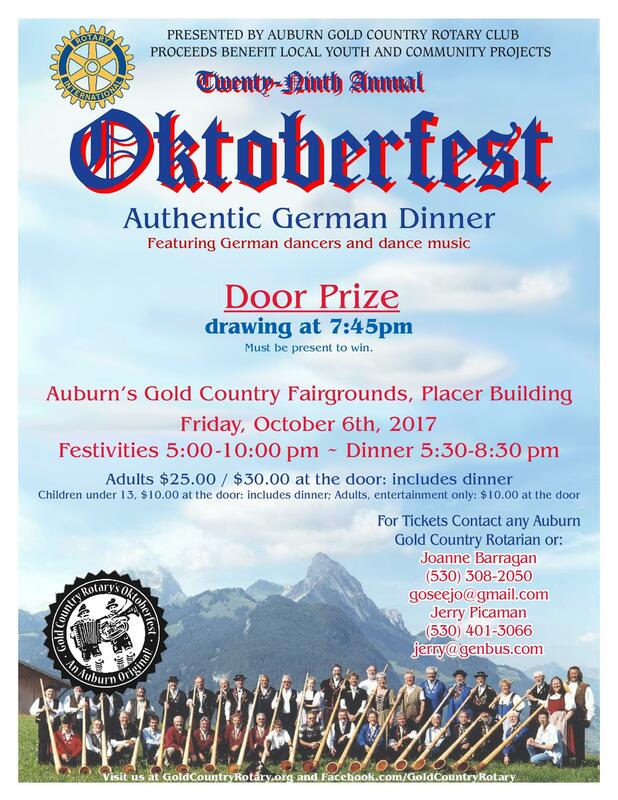 Gold Country Rotary's 29th annual Oktoberfest is on Oct 6, 2017 at the Gold Country Fairgrounds Placer Building. Tickets are available from any Gold Country Rotarian. 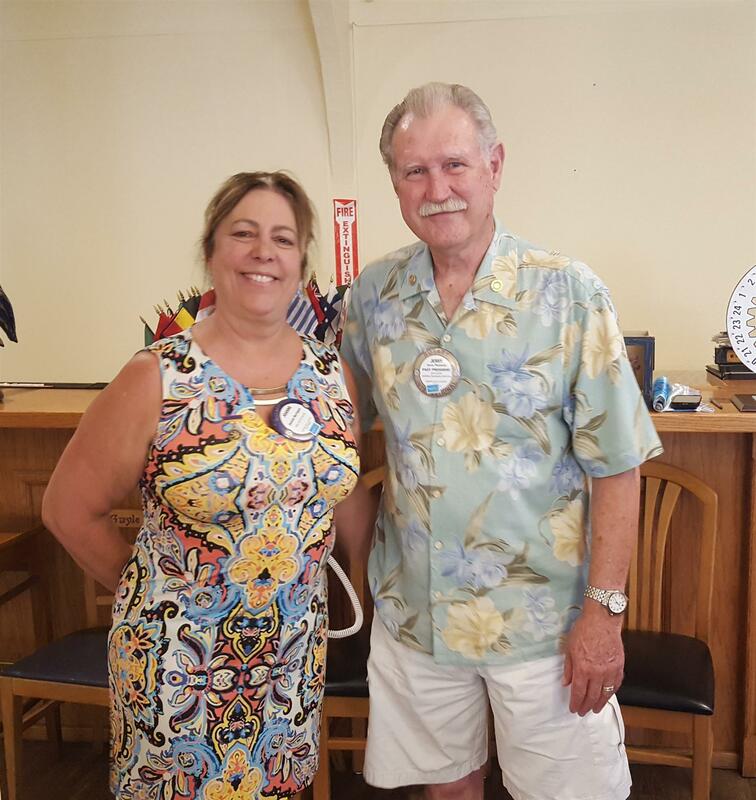 Jerry Picaman was awarded his Paul Harris + 2 pin by Joanne Barragan at her first meeting. 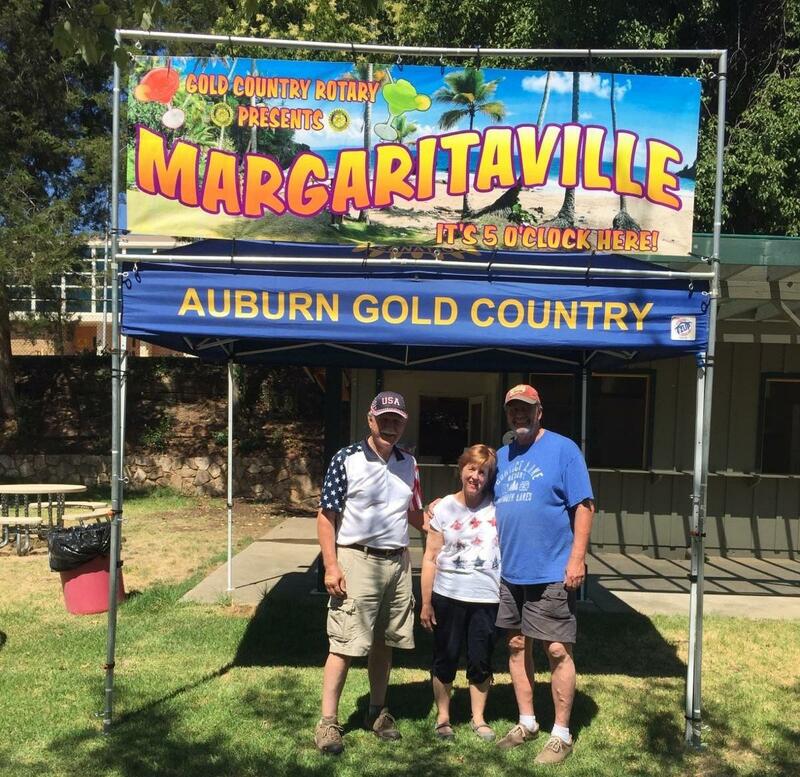 Gold Country Rotary sold Margaritas and Rum & Coke at this years Auburn Family Fourth celebration at the Gold Country Fairgrounds. The money raised was donated the the Rotary International Foundation Polio Plus fund to help the polio eradication effort. 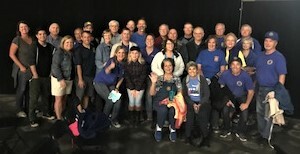 Thanks to the volunteers who helped at the event: Carl Bullock, Jeanette Bullock, Lindy Young, Laurie Richardson, Nancy DiMugno, Don Powers, Robin Draghli, Nancie Radakovitz, Bill Radakovitz, Joanne Barragan, Leanne Luebkeman, and Jerry Picaman. 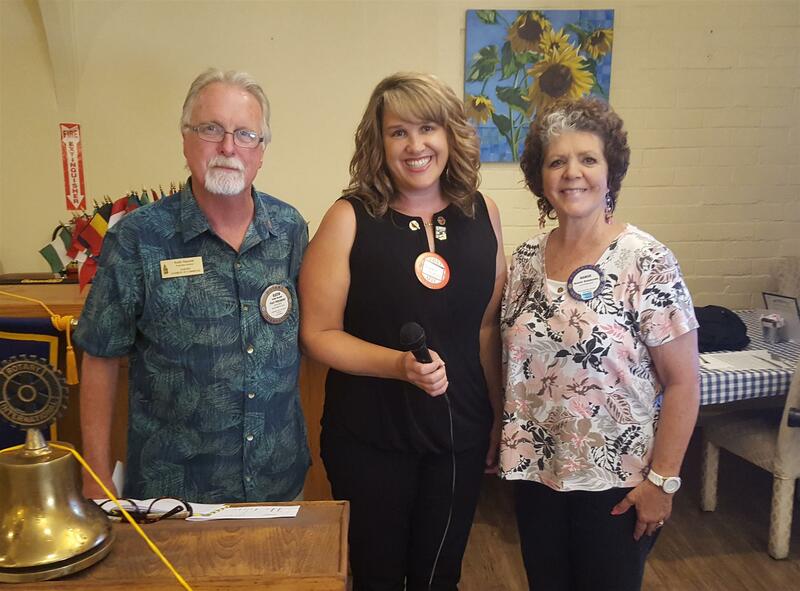 Susan Willson was inducted as the newest member of Gold Country Rotary on June 22, 2017. 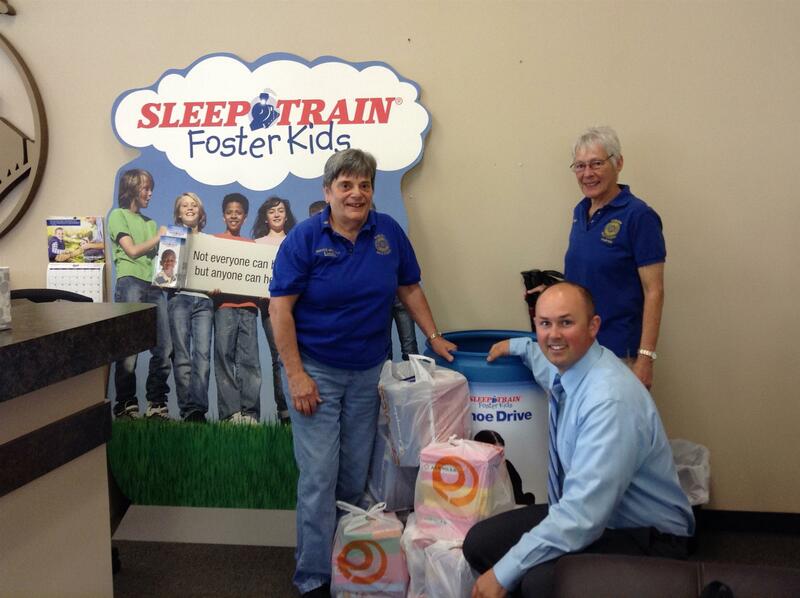 Susan is with the Auburn Sutter Faith Foundation. 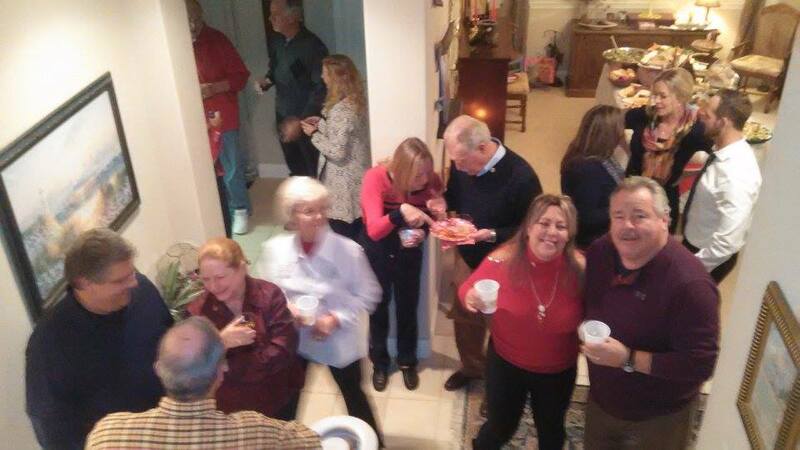 We had a wonderful Christmas party hosted by our President Nancie Radakovitz. The food was awesome and plentiful. There was ample time to mingle and talk with all attendees while sampling the food and drink. The White Elephant gift exchange was the highlight of the evening with many gifts changing hands. 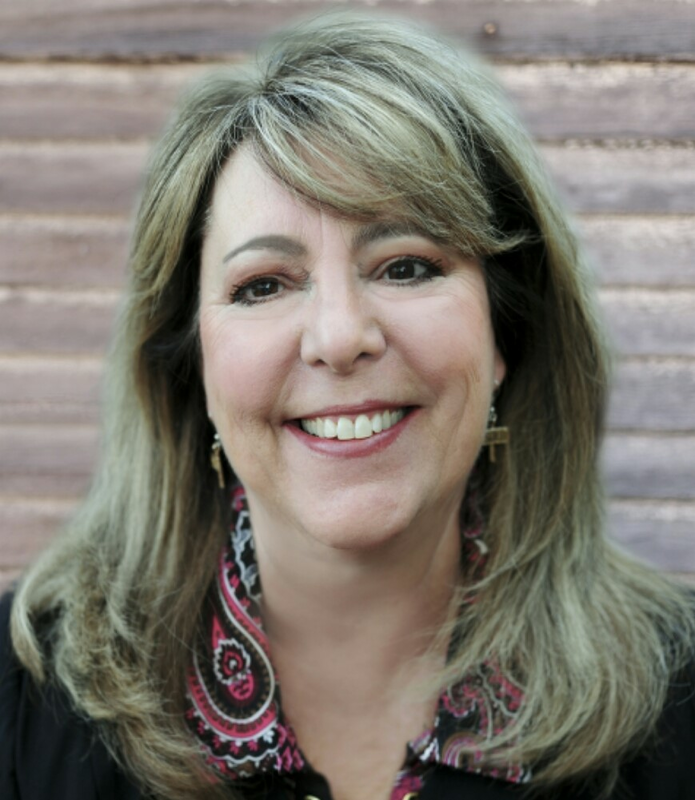 On July 1, 2016 Nancie Radakovitz started her year as president of Gold Country Rotary. This is Nancie's second tenure as president. She was previously president in 1998-1999. 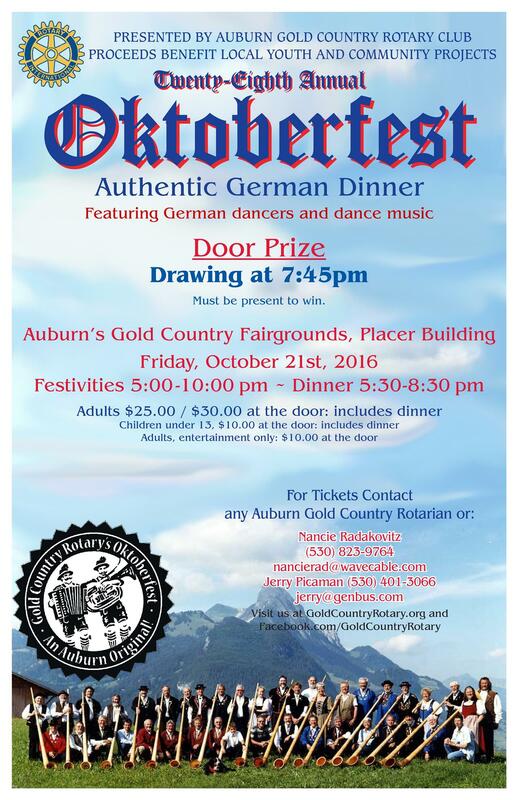 Gold Country Rotary's annual Oktoberfest fundraiser is Friday October 2, 2015 at the Gold Country Fairgrounds Placer building. This event is our biggest fundraiser and helps support our scholarship programs. These include Academic Scholarships, Trade School Scholarships, and the Alan Young Bootstrap Award for students who have accomplished goals despite adversities. The funds also support Community Projects including Youth Leadership Camps, Youth Speech Contest, Literacy Programs, Interfaith Food Closet, The Gathering Inn, The Salvation Army, Projects for Seniors, Festival of Lights, Christmas Basket, Eradicating Polio, and ShelterBox Disaster Relief. 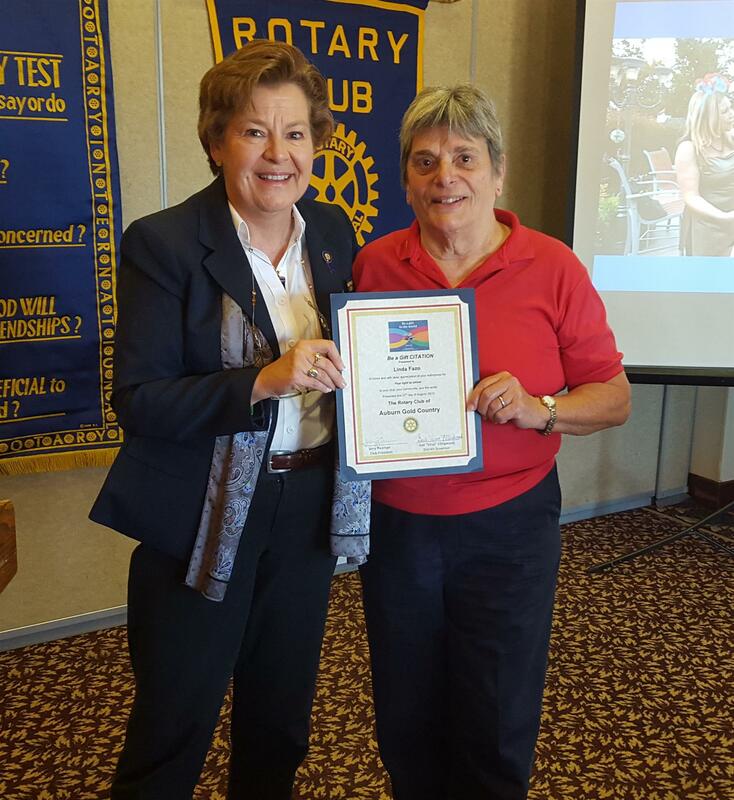 Linda Fazo was presented with the "Be a Gift to the World" award by District Governor Gail "Virus" Ellingwood during her visit to Gold Country Rotary. 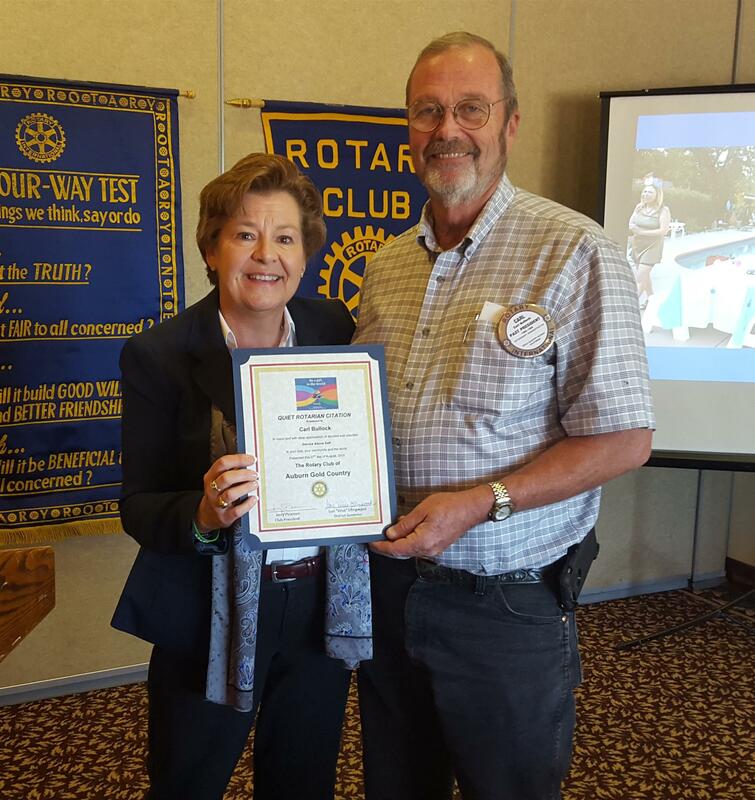 Carl Bullock was presented the "Silent Rotarian" award by District Governor Gail "Virus" Ellingwood during her visit to Gold Country Rotary. 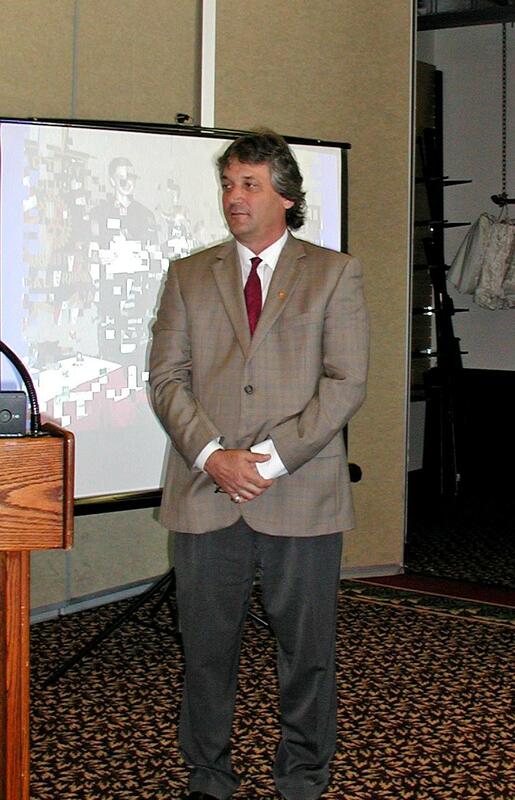 Jerry Picaman has been elected President of Auburn Gold Country Rotary beginning July 1, 2015. Jerry owns General Business Systems, providing flexible and affordable enterprise solutions and support for accounting and business processes. 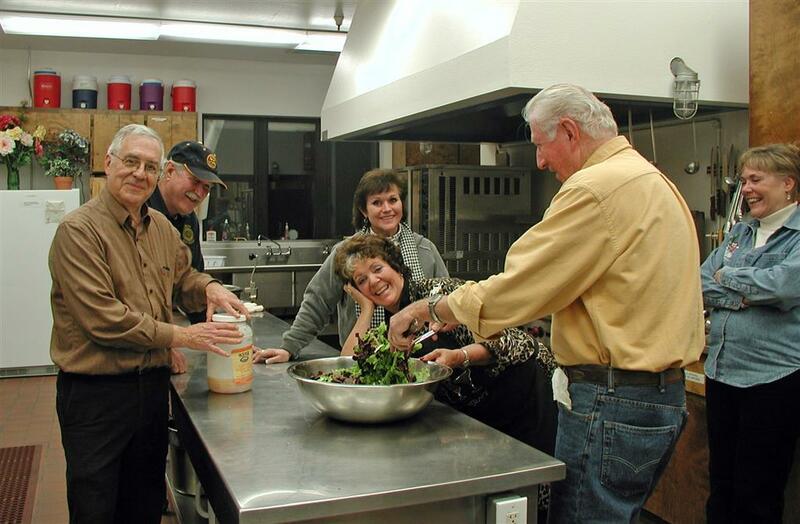 He received a Rotary college scholarship, and joined Gold Country Rotary in September 2011. Congratulations Jerry! Kelly Leibold was inducted as a new member of Auburn Gold Country Rotary on June 11, 2015. Kelly is Director of Circulation at Gold Country Media; his office is located on High Street in Auburn. Kelly was a member of the Rotary Club of Roseville a couple of years ago when he was Publisher of the Roseville Press Tribune. He left the club due to a promotion. Kelly's Rotary sponsor is Michael Dockery, the club's Membership Chair. 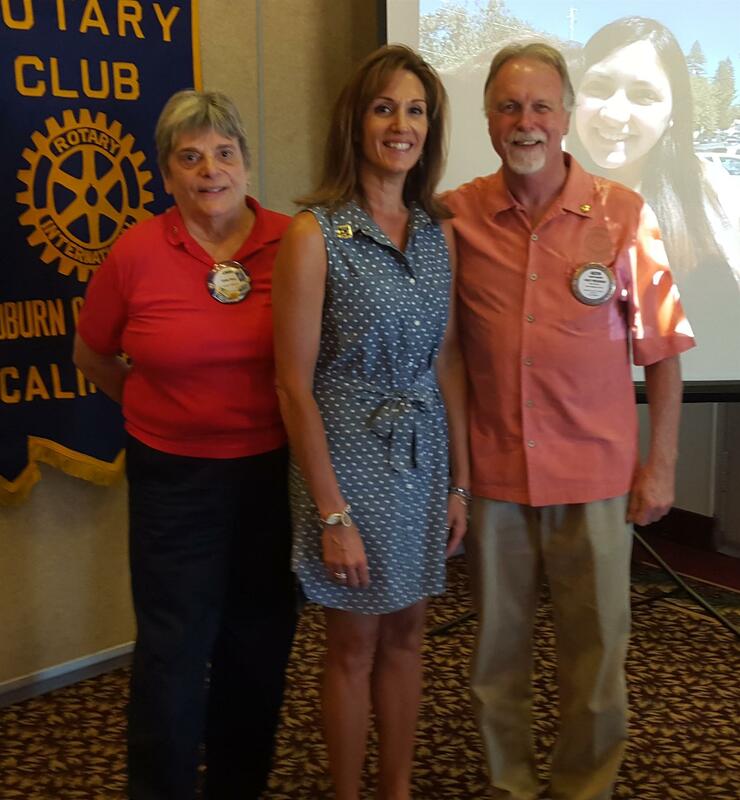 Gold Country Rotary is very happy to welcome Kelly to our Rotary team! 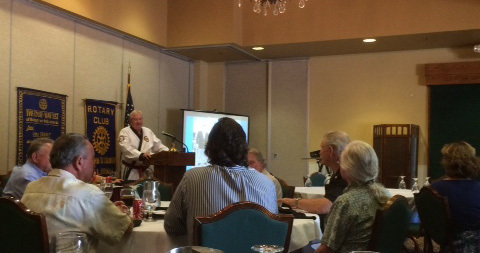 Rotarian Samuel Jefferson Frazier III gave a very impressive presentation on the Korean martial art, Tang Soo Do. He is the Grand Master of the World MATA Tang Soo Do Federation, the testing and ranking federation for all schools. Sam is also an accomplished pilot and yachtsman, and somehow finds time for his profession as a trial attorney with practices in both Northern and Southern California. Gold Country Rotary President Lynne Tinel is one of Sam's martial arts students. Auburn Gold Country Rotary gave $16,000 to graduating high school seniors to help them continue their education at a college or vocational school. The Rotary club also acknowledged students who overcame hardships, and accomplished their goals through hard work and perseverance. “The Bootstrap award was named for Rotarian Alan Young who had a passion for helping young adults, and was himself a student who pulled himself up by his bootstraps. 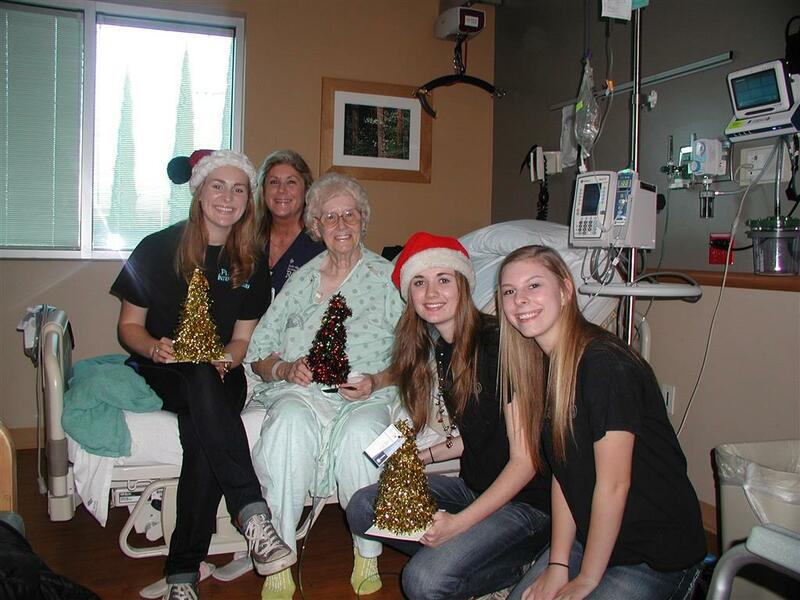 He dedicated much of his life to serving others,” said Rotary President Lynne Tinel. Students who received awards were from Colfax High School, Foresthill High School, Chana High School, and Forest Lake Christian School. 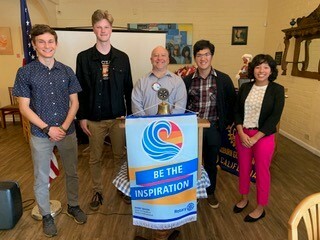 Pictured from right to left: Sydnee Papera, Isaiah Cross, Christopher Fromhold, Michael O'Keefe, Scott Irons, Cameron Miller, Sarah Bianchi Blayne Costello, and Rotarian Pam Tichenor. If you'd like to make a donation of any size toward the cost of a ShelterBox, contact Rotarian and ShelterBox Ambassador Jeanette Bullock at (530) 269-1077. 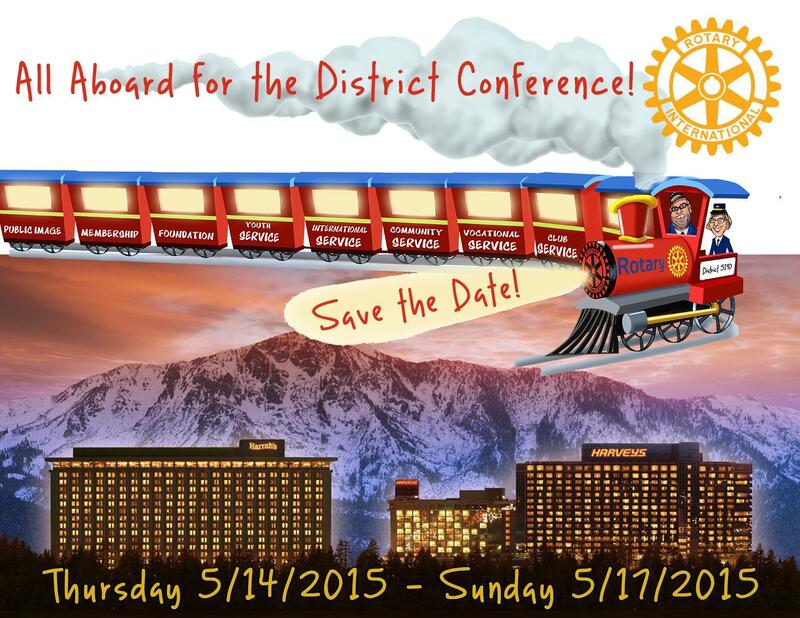 Register at the 5190 District website for the 2015 District Conference. Prior to the meetings there is a golf tournament, bicycle rides, tennis tournament, and a breakfast boat tour on the lake. 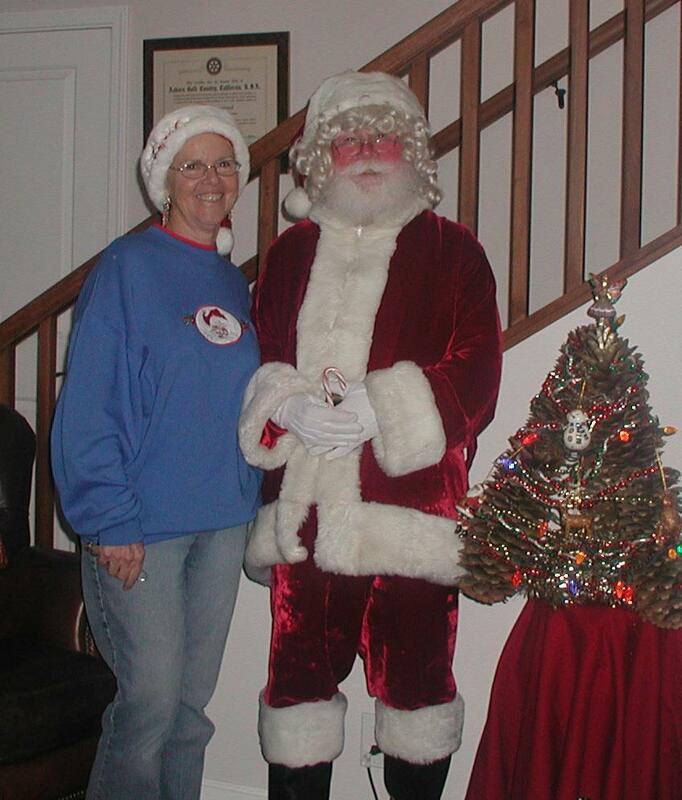 For twenty plus years Gold Country Rotary Secretary Donna Book and her husband Stuart have been dressing the part to entertain children during the holidays - from grandchildren to children at day care centers. The children absolutely love Stuart! And why wouldn't they? You won't find a more authentic looking Santa Claus. Or two more giving people! On December 9th, Richard Anderson, President of TGH Aviation, very kindly hosted a business tour and social specifically for Auburn Gold Country Rotary Club. 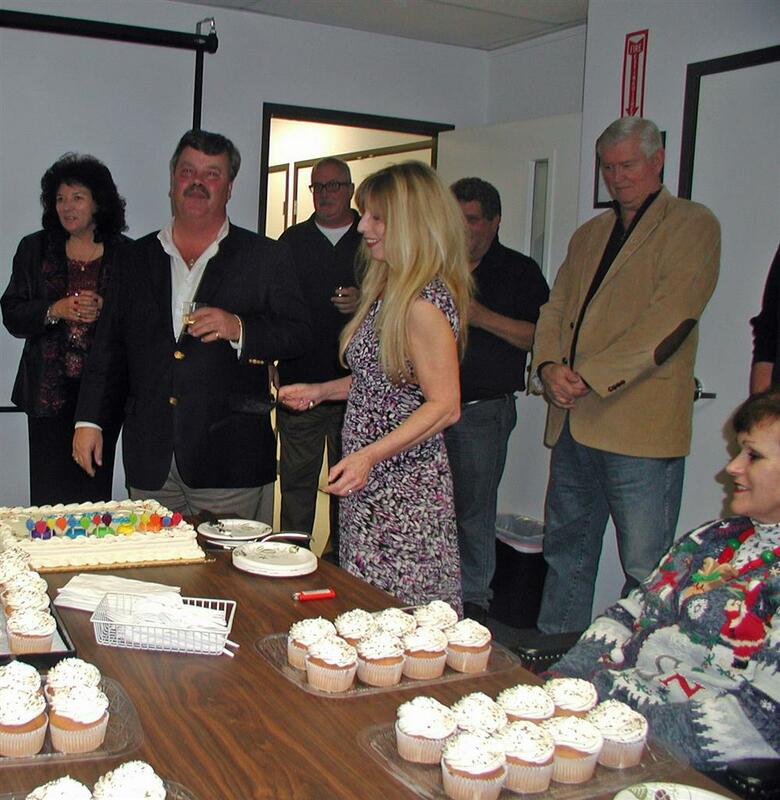 We also took the opportunity to help Richard celebrate his birthday. Stewart & Stephanie Perry served their award winning wines from their Fawnridge winery. Jim Bril, owner of the Monkey Cat Restaurant, provided appetizers. 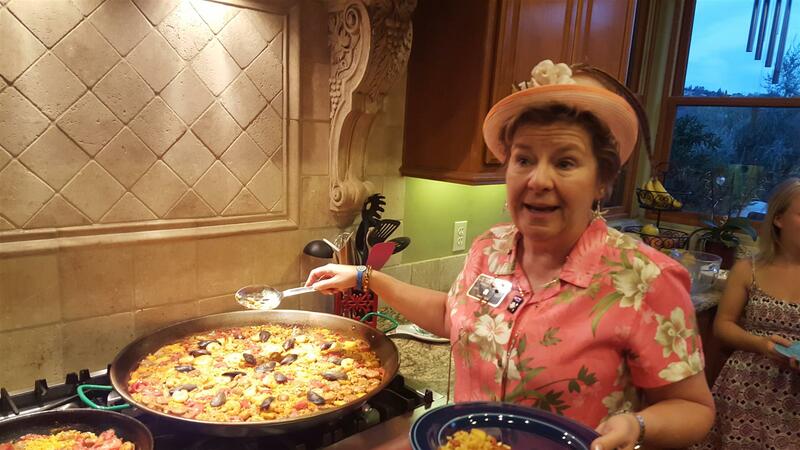 (The Monkey Cat also serves Gold Country Rotarians during their monthly Board meetings). TGH Aviation provides aircraft instrument services. We were all amazed at TGH’s far reaching global impact, and their prestigious list of customers – which include all branches of the U.S. military, NASA, NATO, and a number of foreign militaries. A special thanks to TGH’s Jennifer Henry, and Rotarian Katie Abrahamsen, for doing such a great job organizing this event. 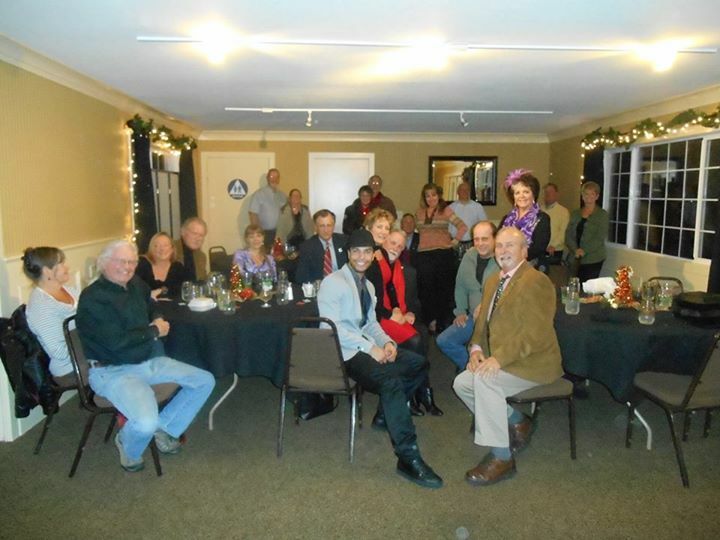 World-renowned magician, Alex Ramon, was the highlight of the evening at Gold Country Rotary's Christmas party held at Dingus McGees. Alex has toured with Disney Live and with Ringling Bros. Circus. He recently worked with Taylor Swift at the AMA's (check him out on Facebook). We were incredibly fortunate to have such a great entertainer join our holiday celebration! Thank you Nancie Radakovitz for organizing the party and inviting Alex. The Auburn Community Festival was the perfect venue to introduce the public to the Rotary Clubs in Auburn. Featuring live music, large pumpkin and scarecrow contests, costume contests and pony rides for the kids, and so much more - the festival offered activities for the whole family at no cost. The three Auburn Rotary Clubs pooled their resources and came together for a large-scale Rotary Day to showcase what each club does in the community and Rotary's work worldwide. A ShelterBox display (tent and supplies) was set-up alongside the Rotary booths. Attractions included games such as a beanbag toss and spin the Rotary wheel. There were Rotary branded prizes and souvenirs including shopping bags and letter openers displaying the Rotary logo - and for the kids, a 4-Way Test coloring book, fake tattoos, and stickers. On a beautiful, sunny autumn day, Rotarians manned booths, provided information on how to join a Rotary Club, and handed out literature that highlighted Rotary's humanitarian work. 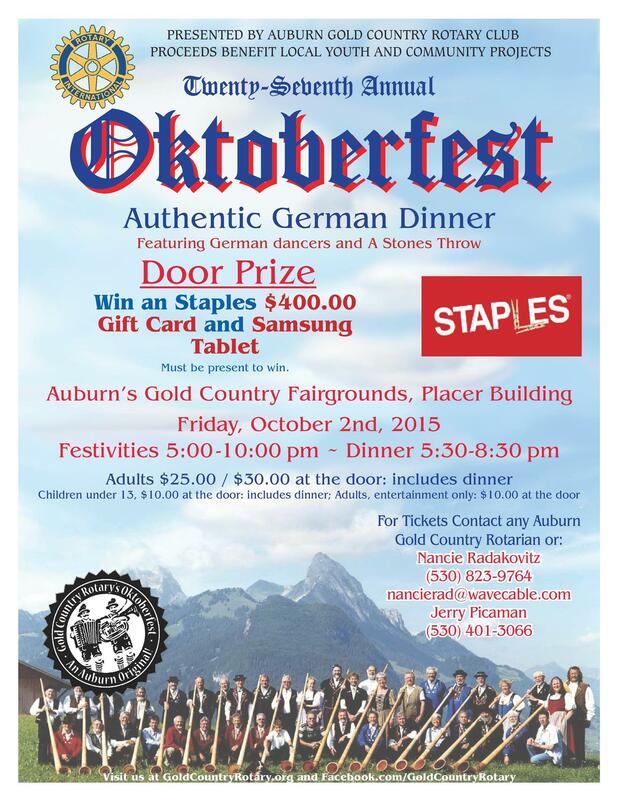 Auburn business owner Tom Griffen won an $800 shopping spree at Staples - the door prize at Gold Country Rotary's 27th annual Oktoberfest. Staples generously donated $400 toward the prize. When presented with the door prize Tom said, "I was so shocked and pleased to have been awarded this awesome gift. I have a 12 year old son that is in constant need of school supplies and he’s also at the age where, if he doesn’t have a cell phone, he’ll be labeled an outcast. So this gift will come in super handy for me. 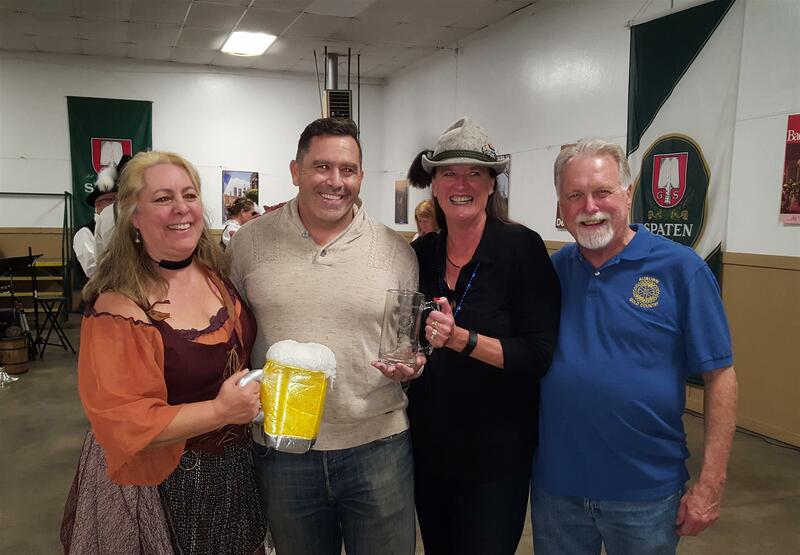 Thanks to the entire Rotary team for putting together such a fun and festive Oktoberfest. 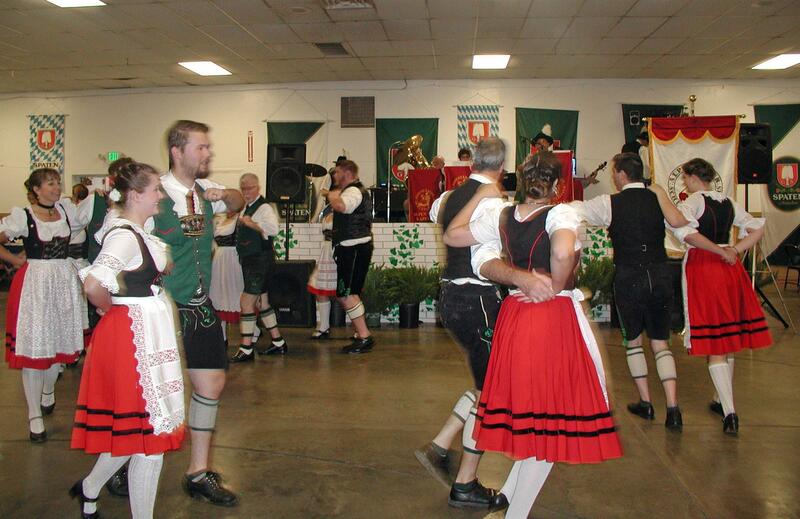 The food was amazing, the music was festive, and the beer was great too!" Tom Griffen moved his business, Gold Canyon Insurance Services, from the Silicon Valley to Auburn eleven years ago. The business provides insurance coverage for Taxicabs, Limousines, and Non-Emergency Medical Transport companies for all three West Coast states and have offices at San Francisco Yellow Cab and in Salem Oregon. Tom enjoys living in Auburn, and says "Our Public Auto insurance transportation company has grown leaps and bounds since being here. 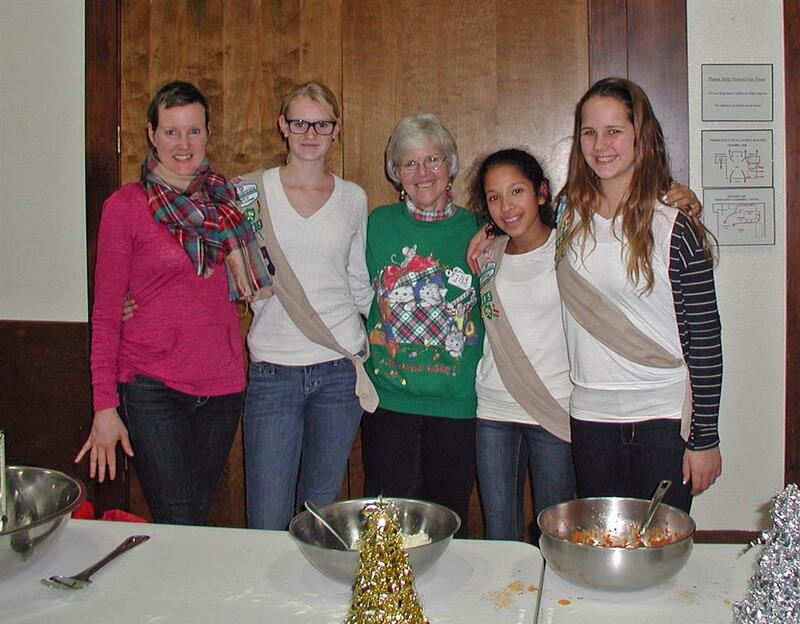 It’s a real joy to be part of a tight knit community that is able to put together so many fun events." He has already marked his calendar to attend Gold Country Rotary's annual Mardi Gras party on Saturday, February 21, 2015. 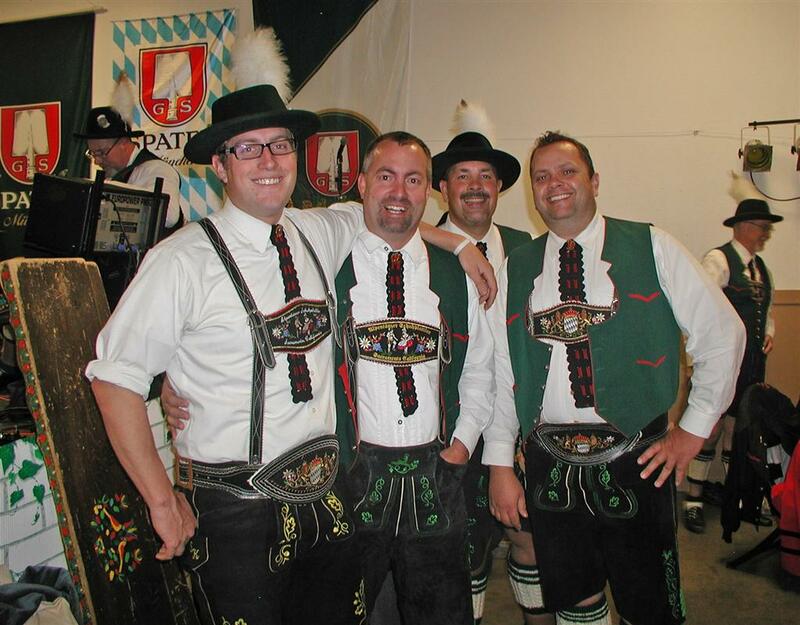 As with Oktoberfest, the funds raised go right back into the community. Thanks to all who joined in the fun for contributing to record attendance. 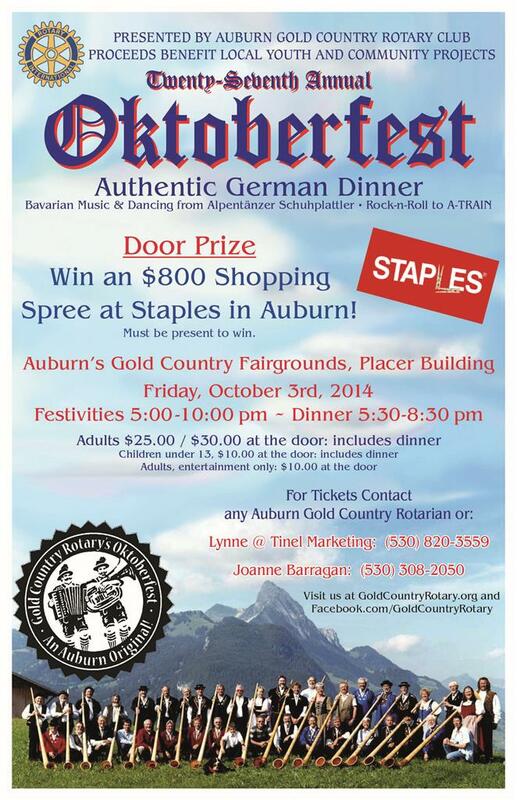 Gold Country Rotary thanks the following sponsors of our 2014 Oktoberfest. 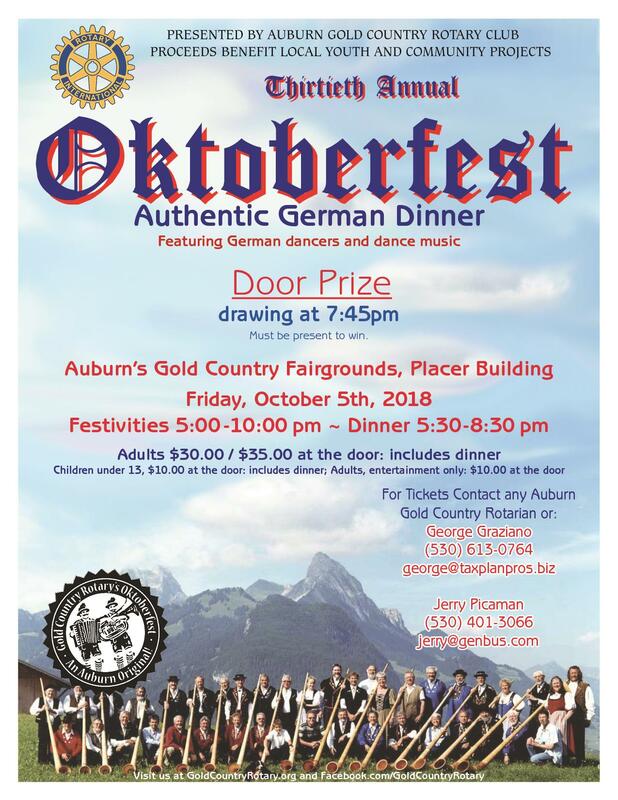 Come join us for the fun at Gold Country Rotary's annual Oktoberfest on Oct 3, 2014 at the Gold Country Fairgrounds. 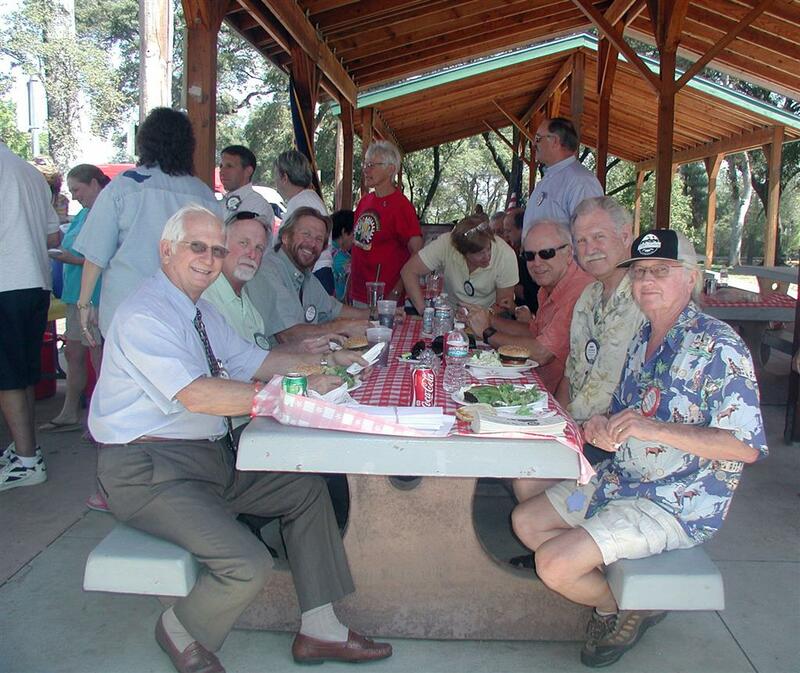 On Sep 4, 2014 Gold Country Rotary held a fellowship BBQ at Recreation Park in Auburn. Thank you to the following 2014-15 PAUL HARRIS SUSTAINING MEMBERS who have given $100 or more this year to the Rotary Foundation. On Aug 17, 2014 Auburn, Gold Country, and Daybreak Rotary clubs participated in a river rafting trip on the south fork of the American River. Fun was had by all, and the water fights were enthusiastic. 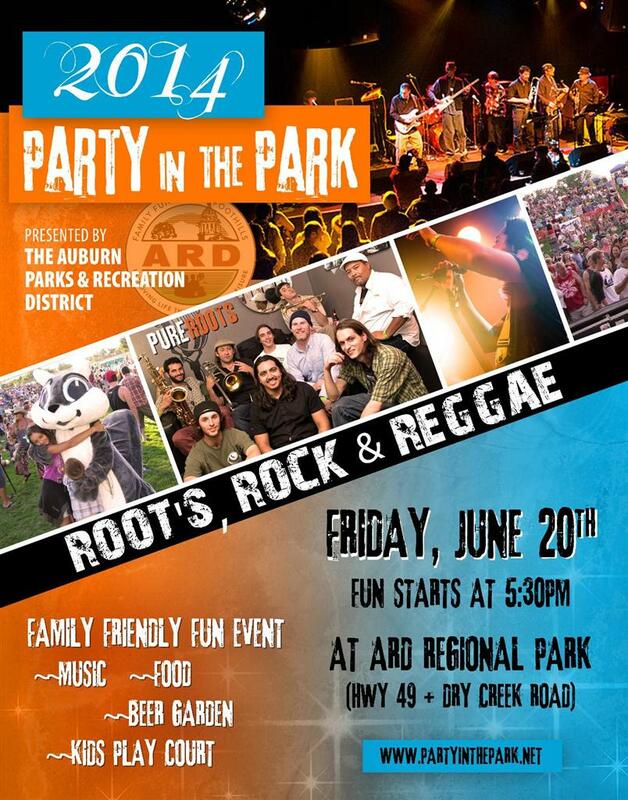 Come and enjoy the free concert presented by the Auburn Recreation District. Gold Country Rotary will be selling Margaritas and water at our Margaritaville booth. Click on the link below to watch the youtube video of Daniel Ross describing the impact on his life as a result of receiving the Alan Young Bootstrap award. 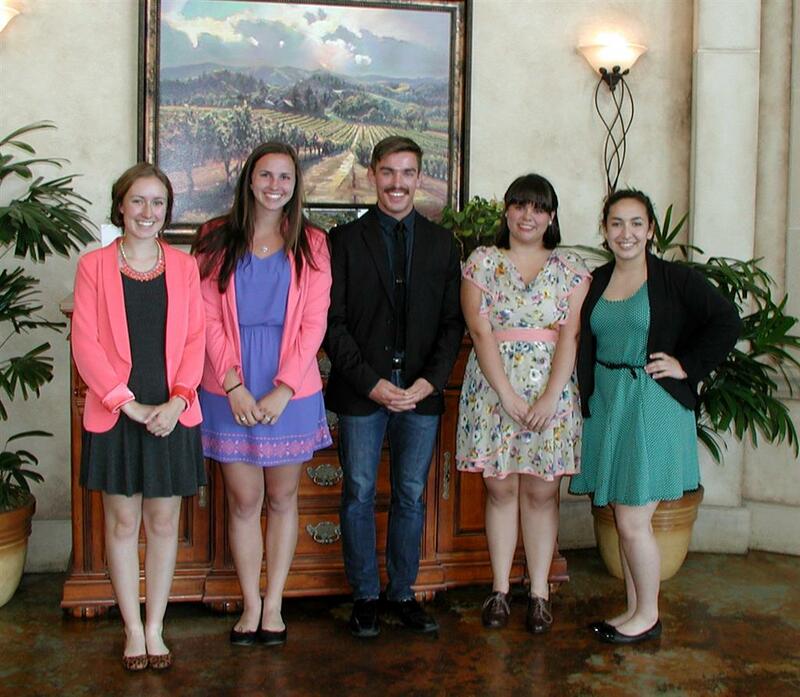 Bootstrap awards winners (from left) Janelle Tatnall, Lauren Morrison, Hollie Hockett, Sarah Ponce, and Kyle deFuentes. 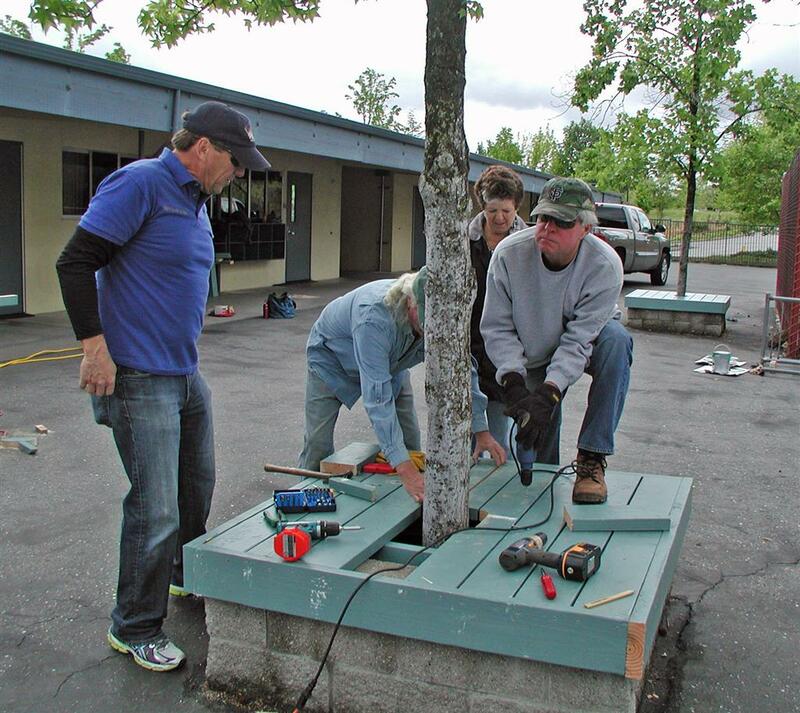 Gold Country Rotary members built 3 tree enclosures and 1 bench for Rock Creek school. They also donated and filled 2 oak planter boxes. 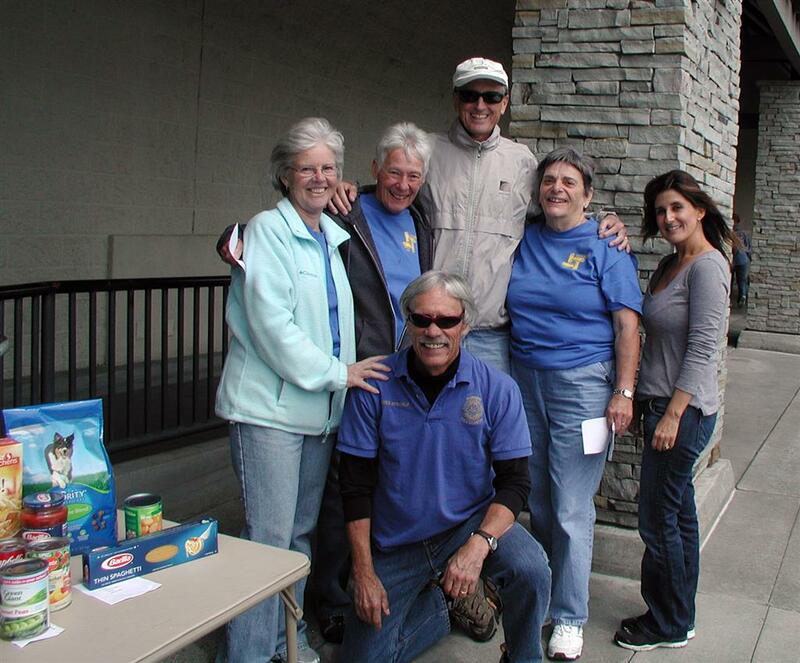 Gold Country Rotary members collected $138 cash donations, 832 food items, 300# pet food, and $250 in diaper donations. 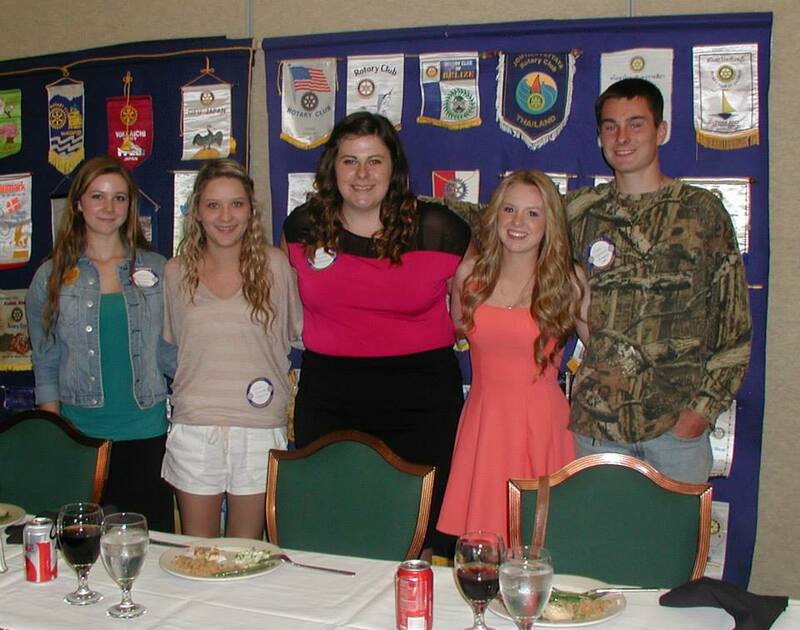 Gold Country Rotary members interviewed 5 students competing for academic scholarships. From left to right they are: Amanda Schafer, Becky Matthews, James Vaughan, Emily Zentner, and Alexis Wildman. 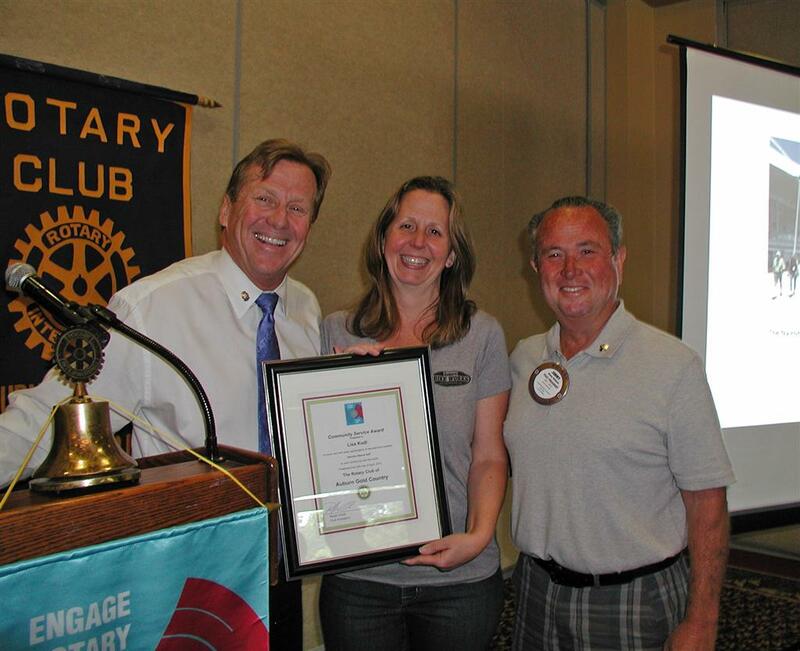 Lisa Kodl of Auburn Bike Works received a Community Service Award from Gold Country Rotary for her outstanding contributions to the community. Mardi Gras was a success! 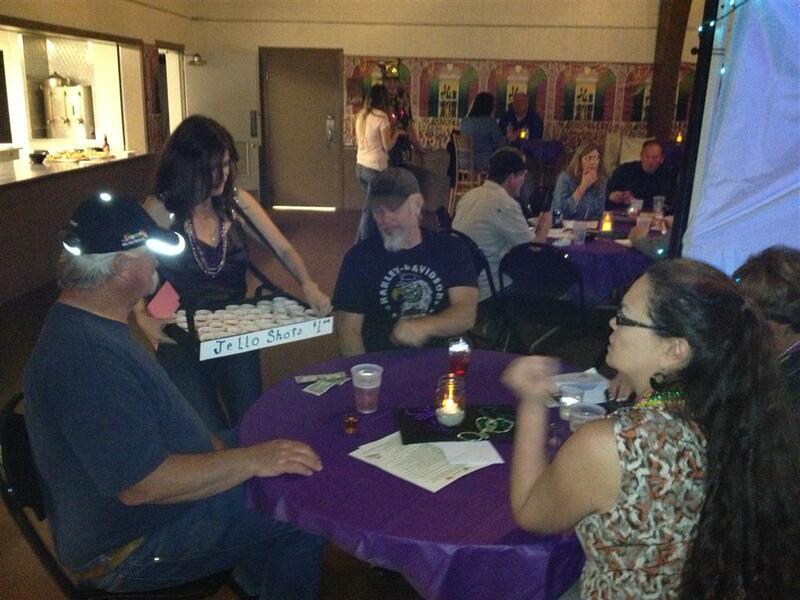 Thanks to all members, friends and some girl scouts we had another successful Mardi Gras. The Jello Shots were a hit! 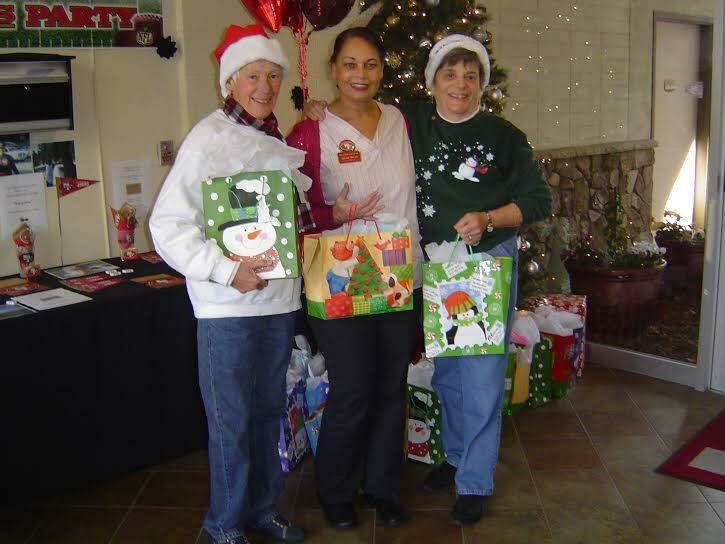 Linda and Pam dropped off gifts provided by Gold Country Rotarians. 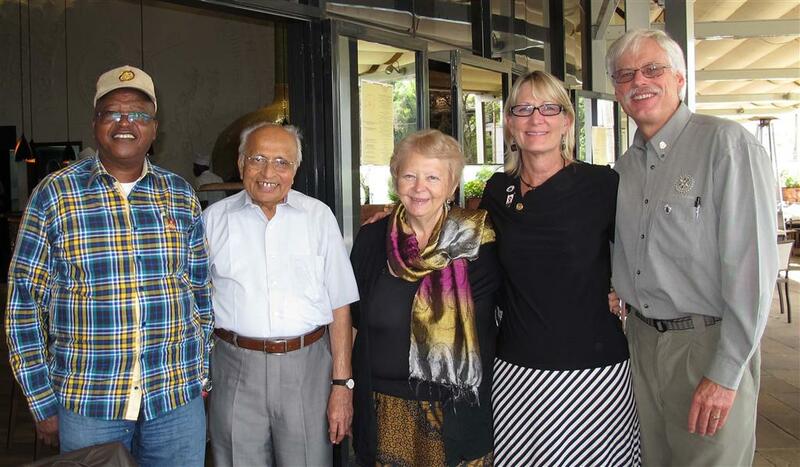 Pictured are DG Harry Mugo, Rotarian Mr. Doshi from the Nairobi South Club, Vicki Winkler of Heart, Phyllis Dunstan, and Auburn Rotary member Bob Dunstan. 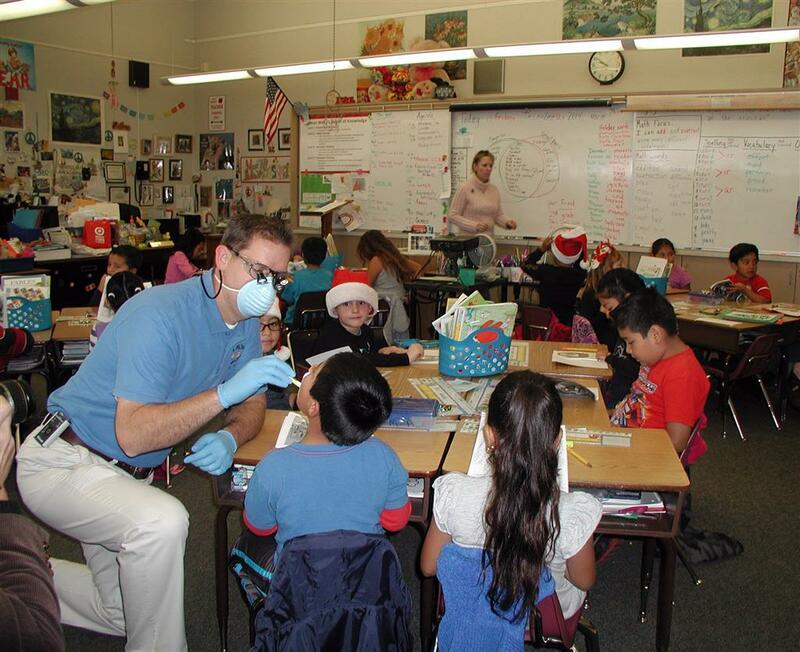 All three Auburn Rotary clubs are jointly applying for an international grant. 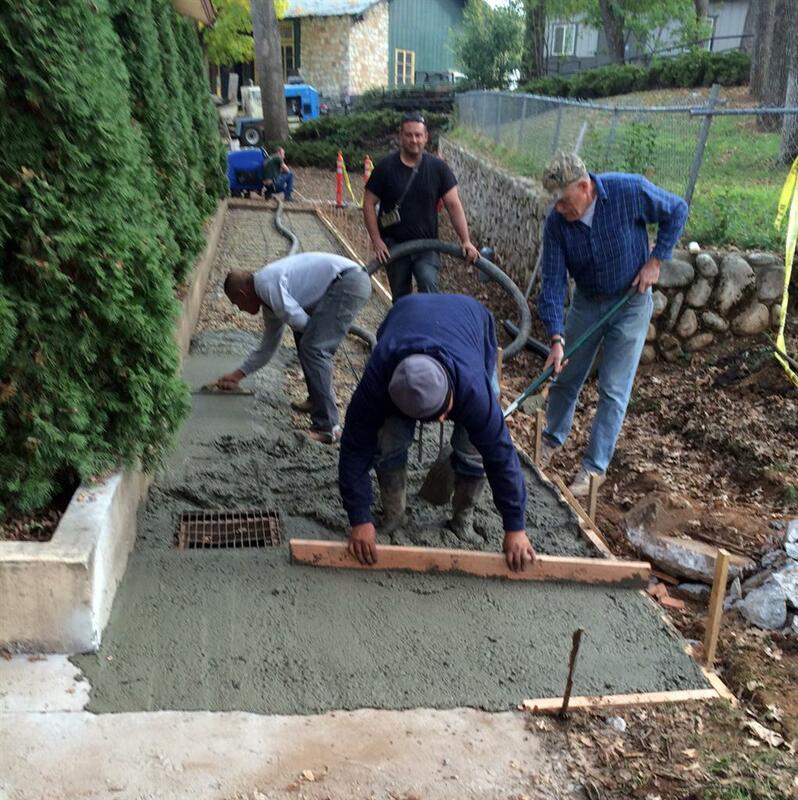 They're joining forces with HEART and the Nairobi and Meru Rotary Clubs on a project to install greenhouses and a well in Meru, Kenya. Bob recently visited Nairobi and Meru to learn about the local issues and see first hand the proposed Meru site. The new wells and greenhouses will enable the village to grow crops that currently wither due to a lack of water and nutrients. The project also allows children to attend school instead of collecting water. Due to poor attendance (20% daily absenteeism rate) Leeta School in Meru is currently one of the worst performing schools in the region. Gold Country Rotary's information booth at the Auburn Fall Home Show was successful in raising awareness of the ShelterBox disaster relief organization. There was a ShelterBox tent on display along with the stove, water filtration system, cooking and eating utensils, and other items shipped with the tent. Generous donations were accepted in support of ShelterBox's mission. Thanks to all the Rotarians who helped during the 3 day show. Mark your calendars. 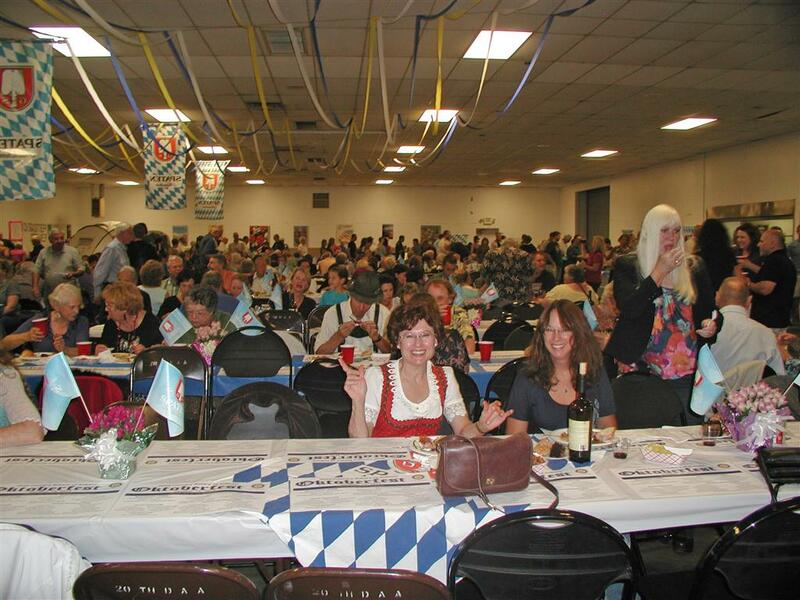 Oktoberfest is Friday October 11, 2013. 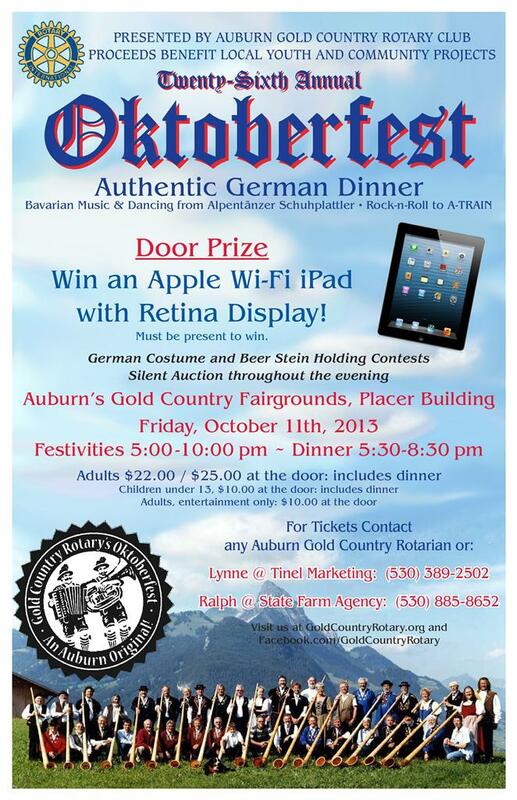 Help Gold Country Rotary's Oktoberfest be a success by becoming a sponsor. Click on the link below to access the sponsor form. 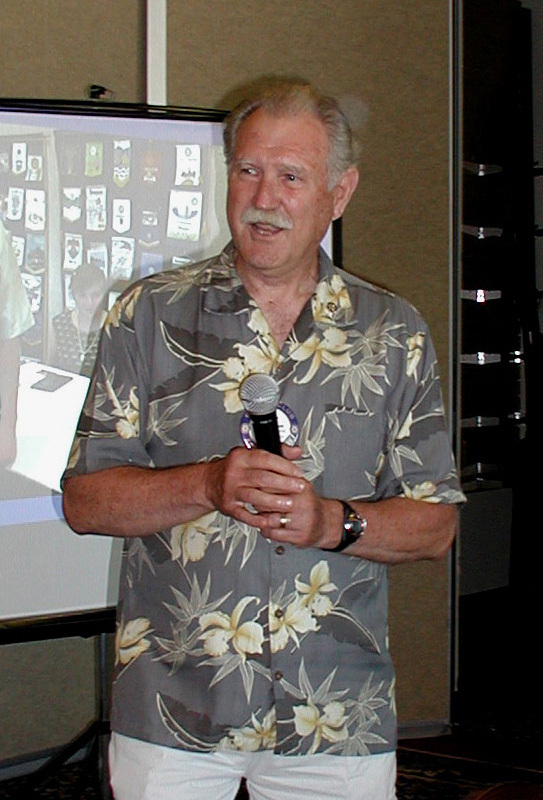 Alan Young would have celebrated his 10 year anniversary with the Gold Country Rotary this August. Thank you for your service above self. Thank you for your leadership with our Bootstrap Scholarship. 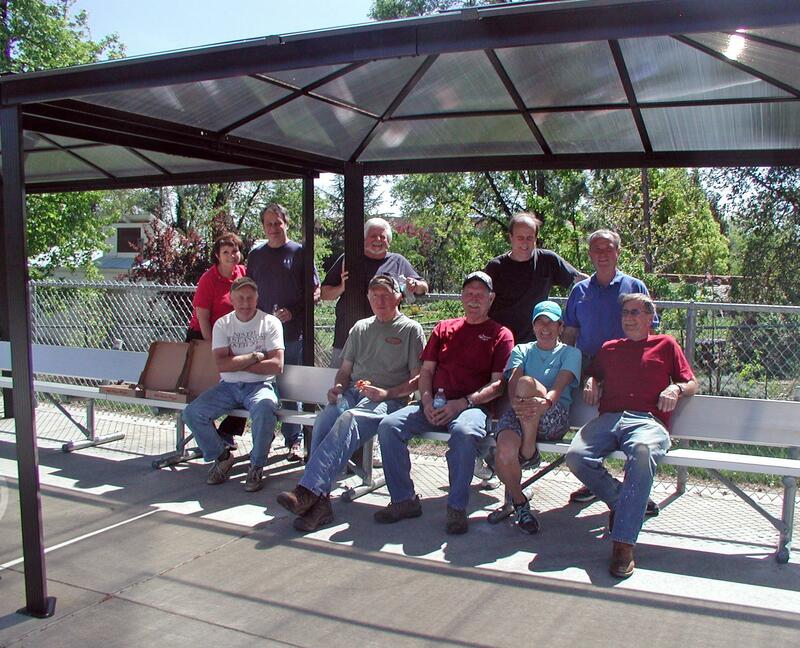 Thank you for your selfless time donated to those in need with Shelter Box. Thank you for being an Auburn Gold Country Rotarian! 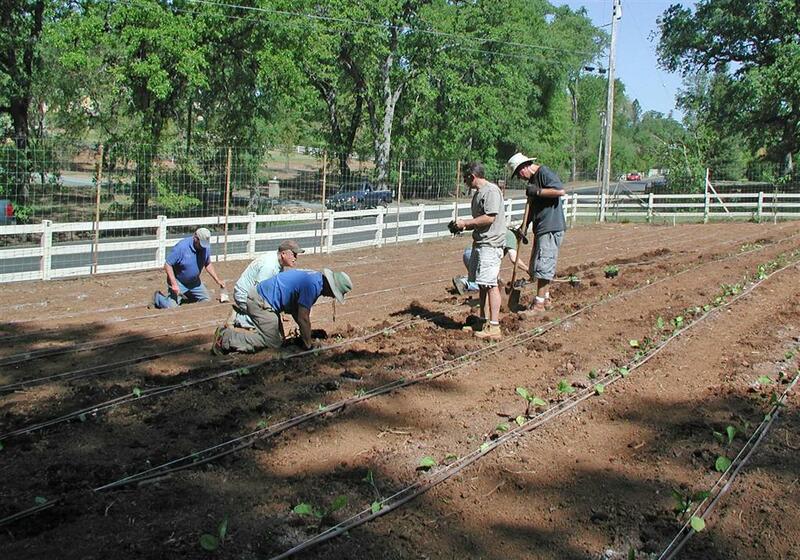 We continue to receive updates from Pam Nelson about all the great produce out at the community garden. 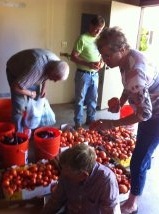 Many thanks to Dave and Lindsy, Denise, and Linda Duff for their help picking this morning. Total pick = 722 pounds - THAT IS HUGE! weather is SOOOOOOOOOOO user friendly! come on out! Downtown Rotary Hosting River Raft Trip for "Clean Water"
Ollie MacIntosh is again putting togeher a crew to assist in feeding the homeless for the Gathering Inn on September 20th. If you are availble to help please contact Ollie. 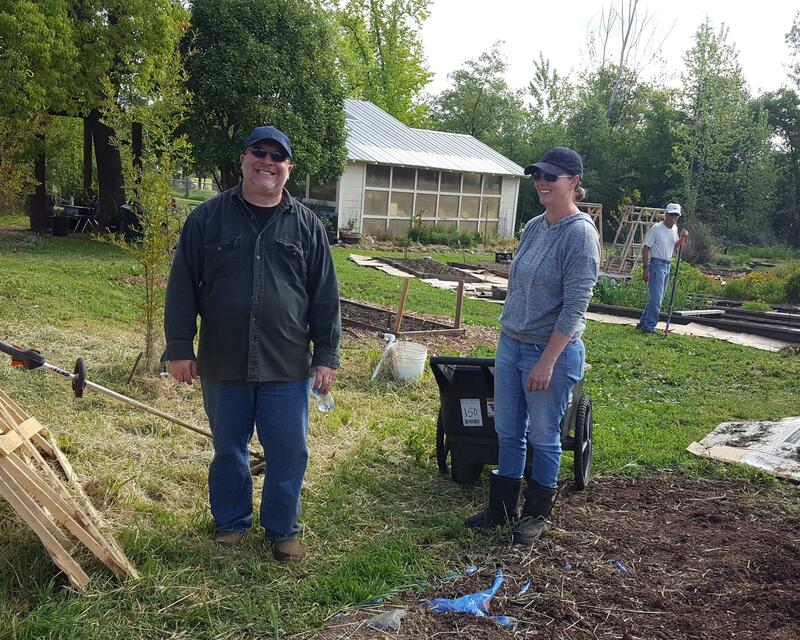 Here's a link to the Rotary Radio show featuring Linda Fazo discussing the work Auburn Rotary Clubs are doing at Virgil's Community Garden. Rotary Radio is broadcast out of Cleveland Ohio and is a great way to get the word out about the wonderful things that our organization does. The format is a 30 minute call in. For past shows go to – www.rotaryradiointernational.com. The show is on every Monday at 3pm Eastern time.